Update: I’ve read through the books between posts 2 and 33. And oh my god you guys are the best. There’s so much dedication and wonder in your work, it’s really refreshing. Some books were better than the others (obvi) but all of them were entertaining. Thank you so much. You made my day, really. Oh and there’s one special book that has already made the list (you know who you are). And two books I’m considering adding real soon. I’m excited to check out the rest! About me: Hi everyone, my name is Cristina. I am currently majoring in English and American Literature and I graduate this spring. I joined Wattpad in 2015 but didn’t become active until a year later. I love writing, especially horror and mystery. 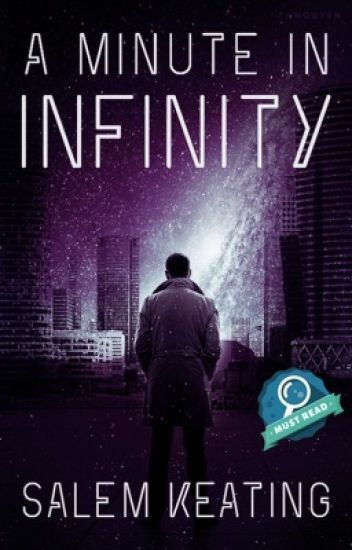 The book I am recommending was just featured on the official Wattpad Mystery’s reading list for Best of Mystery/Thriller. Blurb: Barbara Gordon, daughter of the police commissioner, is determined to follow in her father’s footsteps. After a series of brutal murders and disappearances occur around Gotham City, she begins her own investigation into who- or what- is behind these slayings. However, as she gets closer to the truth she finds herself tangled in a game of mystery, the supernatural, and pure evil. Bio: I know I write good, and you’re going to like my story whether you want to or not. Summary: On the edge of achieving fame, rock musician Adriel Cross finds himself falling in love with the wife of established actor Dominique Vega: Evangelina Lamontagne, America’s most coveted model. What starts as a one night stand turns into a dangerous affair when Evangelina is hired as an actress on the set of Adriel’s latest music video shoot. As the affair continues, so do the flashes of the paparazzi cameras, causing Dominique to act on his suspicions in the worst ways imaginable. Oh hey! I was eyeing you on another SYS thread a few hours ago. Like who does she think she is taking on Damian Wayne and Gotham? You’ve got major cojones. Respect. Bio: I’m a 20-year-old novelist who’s been writing for over ten years. I used to be popular enough in my genre on Wattpad but I deleted that account to venture into fantasy. When it comes to writing, my clout and achievements are part of what makes me, me. Those include signing a book deal at 17 (though I left the company), being scouted by small presses since I was 15, and amassing half a million reads across two books. I’m an avid gamer and true crime fan. If I’m not writing, I’m staring at a screen for another reason or reading a book. Summary: I’m writing a novel about a young woman with magical capabilities who travels 250 years into the past to meet an ancestor. My Wattpad book is a collection of short stories about the 8 women between those 2. About Me: Hello Lovelies, my name is Paige and I’ve been writing since 6th grade but this is my first book on Wattpad. I’m a Harry Potter, Star Wars, Supernatural, Vampire Diaries, Teen Wolf geek. I’m a college junior studying English & Communications. I like writing/ reading about strong female characters that break literary and societal stereotypes. August is one of the strongest wolves in her pack sector, as she should be after years of mental and physical abuse from almost everyone. It has never broken her but fueled her fire. When the Alpha announces that an army will be created, August has to be part of it make a better life for herself and her brother. But joining means fighting to keep her title as a warrior against hundreds of the best wolves. And not everyone wants to see her succeed. It also means possibly finding her mate. Something she never believed in. About: Name’s Shannon, I’m a 26 year-old cryptid that has traveled from one coast to another in search of finding something better than being buried in 6+ feet of snow in -12 degree weather. I’m a scriptwriter for audio drama podcasts and I do a bit of freelance ghostwriting. I enjoy sitting in bed like a goblin with my cat, long searches for weird places on the Internet, and horrible snack cakes. Blub: Medora Izumi, supernatural enthusiast from Colorado finds exactly what she’s looking for in a traveling magic show, but there’s a price she wasn’t ready to pay. Framed for the arson of her town, Medora is now Ella and Jason Barnett’s assistant as they travel across America, and she learns how many teeth the creatures she has read about have. She must find a way to cut ties with Ella and Jason before there is no chance of escape, but some deals are struck with more than blood and bone. About Me: I joined Wattpad this past February when the tags and rankings apparently went kaput - which was unfortunate but not deterring! I’ve posted 4 works so far and am really trying to flex my writing skills, get a lot of feedback on my writing style, and learn where I can improve. I have a grey husky, who is currently glaring at me as I type. I also have a beer, which I am not sharing with my dog despite the glare. Narcissa has a crush on Bobby Hughes. He hasn’t noticed her since elementary. Why would he with the way she looks? When her mother buys her an antique vanity imported from Africa, things start to change. Her reflection has a life of its own and it knows how to help Narcissa get noticed. Blurb: It was dark. Anna and Matthew didn’t see the ice on the road until it was too late. Now Anna is in a strange place with a strange man who has several arms protruding from his back. Blurb: Scarlett Burn never meant to become a famous explorer. She only wanted to capture the elusive enemy known as time. Girls get trapped in a twisted school over and over. Bio: I’m a 30-something Midwesterner with a very boring day job. I write to alleviate the pain of my mundane existence. Just kidding. I write because… I actually don’t know. 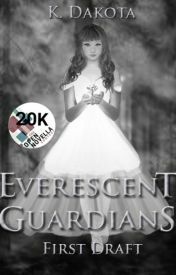 Blurb: Erin’s family is running from something otherworldly. It catches up. I’m a 24 yo doctor who has been writing for 10 years. I’m a huge Gungrave fan and particularly fond of writing action and over-the-top fantastical concepts, often with a dash of inspiration from anime and various old-school RPGs. My skills in action scenes are my tools of trade. Mysterious mist hangs over Central Billion and is slowly spreading. It drives people mad, and those who enter the affected region never come out. Mankind has built windmills across the State of Billion to blow away the mist, but a dragon emerges from the mist and destroys them. When the authorities set a bounty on the dragon’s head, eighteen-year-old Mika Asagi sees it as a free entry to the prestigious Metaslica Faculty of Science. Accompanied by her undead guardian, she goes on a journey to slay the dragon. Hi there! I’m Salem. I’m super passionate about books and am constantly reading and adding to my list (yes, I keep a list of all the books I’ve read). I mostly write for fun. Some other things I enjoy are coding, playing piano, and annoying my cat. It is the year 2094. Humanity's only survival chance is relocation to the alien planet Kentauri. Anticipating resistance, the Galactic Army was created to fight them off. Ryan wakes the day of his recruitment test with strange visions. During the piloting simulation, he does brilliantly, despite having close to no training. The army calls it talent — Ryan isn’t so sure. As Ryan grows in the Galactic Army, he discovers secrets that could unravel both worlds. Time is running out, and Ryan must walk the line between truth and lies if he is to survive and protect the ones he loves. Hey, I’m Cammie. I’m a senior in high school and have been writing on Wattpad since I was 11 or 12 (My Mom didn’t like the idea of Wattpad but I was a rebel and used it anyway. She was actually pretty proud when my first work reached 8.8K). I always have ideas swimming in my head, which is why I’m currently juggling two works, a romance (posted) and a sci-fi (just working on google docs and eventually publish). It’s’a me. the meat man. I’m just a chill guy who likes long walks on the beach, Pina coladas, and throwing enormous boulders into the sun for sport. I currently have the current world record for biggest rock thrown into the sun. The previous record holder was also me, but to be fair this hobby doesn’t breed a lot of competition. Other than that, I play and write music, as well as dabble in digital art. A young military cadet, her best friend, an infamous underworld figure, a decorated war veteran, a crew of space smugglers, and a mysterious witch are all drawn to a catastrophically powerful device, one that threatens the peace so many have sought to achieve. Little do any one of them know, a larger game is being played than they could ever have predicted, and the fate of two worlds hangs in the balance. Bio: Well lets see. I’m a social worker whose profession circles around the older adult population and those with disabilities. I specialized in cultural competency which means world building planets is my favorite thing to do :D. I started writing when I was in my teens but didn’t pick it up again until 5 years ago. Since then I’ve been dedicating myself to writing a Science Fantasy series and pushing myself as a writer to improve along the way. Blurb: Gods and Reapers–two myths told during bedtime stories. They intertwine as fear and hope. Twist reality into fantasy. Until one day, they knock on Earth’s door and find themselves at the end of a blade. Read as Avalyn Concerto takes on the universe and the gods that control it in this INFINITY WAR meets ANASTASIA, action-packed thriller. Okay, now the pressure’s on and I’m not ready. Bio: I’m 26 years and graduated from college majoring in Elementary Education. I’m currently an aid at a school right now. I’ve always enjoyed writing and storytelling in general. I like writing YA Stories and some New Adult. Savannah was a loving sister and wife who tragically lost her life in a car accident. Her sister Margo is trying to make sense of everything. Savannah’s Husband Steve is trying to move on and has big plans. Is there life without Savannah? Join Margo and Steve as they live their lives reconnecting, making new friends, falling for each other, following their dreams, and by all means not forgetting who Savannah was to them. Never forget Savannah. Well, my achievements are a big part of me and I’m a narcissist so that’s pretty much all I got - is clout. I’m a biochemist with too many dang kids. Gave up working to stay home with them and I’m writing in my free time. I can also do a pretty knarly backbend & chug a bottle of wine down in 5 minutes. I may- or may not puke after though. … uhh, I forgot the rest of the questions and can’t look back, I might reply again. Blurb: Unicorns, dragons, and werewolves are all just make believe. Or are they? The Creatures Among Us series has all of our favorite mythical creatures living amongst us. They call themselves ‘Everescents’, and although they have lived in harmony with humans for centuries, they have always struggled to keep from being discovered.